Her construction started in 29th of October 1944 by Bethlehem Steel Corp. (San Pedro, California, U.S.A.). 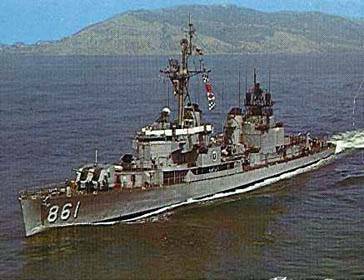 She was completed in 22nd of May 1945 and comissioned in the U.S. navy with the name USS Harwood (DD861). 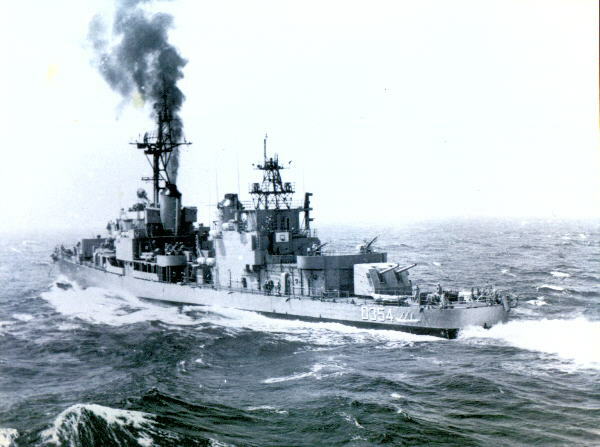 The ship was named after the Commander Bruce L. Harwood who was awarded with Navy Cross Medal two times and became a martyr in the Leyte Gulf war. 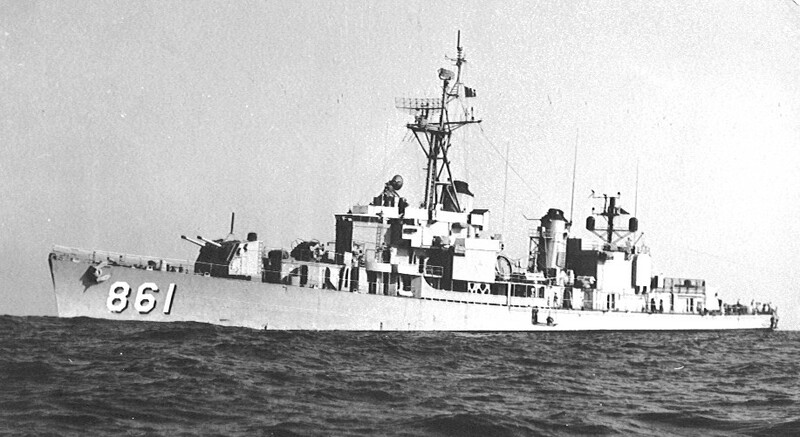 Harwood destroyer had served the U.S. Navy in many missions includin Vietnam and Pearl Harbour. Harwood destroyer decomissioned at 1st of February 1971 and sold to Turkiye at 17th of December 1971 and started serving the Turkish Navy with the name Kocatepe. 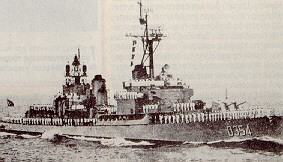 When the Cyprus operations beginned at 20th of July 1974, Kocatepe destroyer was ready at the Mersin Harbour. It was heard that the Greek Ships would change their flags with Turkish flags and use radio operators who knew Turkish. That era's head minister Ecevit was interviewed with the American authorities but couldn't accomplish anything. While the operations going on, Turks got an intelligence that was saying that there was a Greek fleet around Baf at 21st of July 1974. Because of this S-2E class Tracker Sea Sentry planes belonging to the 301. fleet were sent to area for sentry. 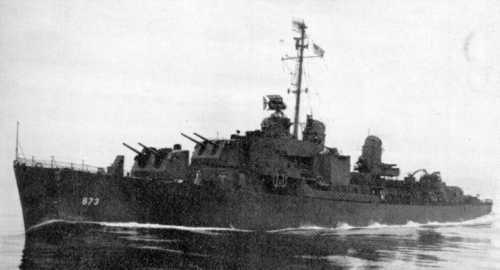 The radar was showing 4 destroyers and 7 cargo ships headed to the island. For confirmation, RF-84F planes belonging to the 184th fleet were sent to area. But no physical contact made. Kocatepe and two other destroyers were sent to area for investigation. At the morning of 21st july everyone was waiting information. Because Greek support could reach the island. Also none of planes made contact, the Anamur radar was showing the ships. Turkish operation center was determined to block the fleet. At 1:00 pm an attack was planned on this fleet. At 2:00 pm F-100D planes from 111th fleet and F-104 planes from 141th fleet got on their way. For stopping a possible Greek landing, all the ships around the area would be bombed. The report that camed shocked everyone, who was waiting good news that would say Greek ships found and sunked. Because in the area that Turkiye didn't supposed to have any ships , Turkiye confirmed not to have any ship, Turkiye had 3 destroyers. Which one of them was Kocatepe and which sunked by Turkish planes at 22nd of July 1974. The others Adatepe and Maresal Cakmak had reached to Mersin with survivors and wounded. With this tragical accident Turkiye lost 54 good marines. The best reasons of this accident were , the need to stop any Greek landing, tension of this possible landing, and the intelligence about the Greek ships with Turkish flags. After this, the possible leaks, needs and musts had been completed in the Turkish army. Also gossips were saying that there could be an interference with the radar systems of the Turkish navy. It is thaught that the ship was sunked near Akrotiri. Before the ship sunked, the crew abondoned the ship with the order of the Captain Colonel Guven Erkaya. The survivors had been rescued by different navies. A group including captain had been rescued by Israel navy, a group had been rescued by English and some rescued by Turkish navy. Captain Ian Mckechnie who rescued 72 of the survivors had been awarded with the Turkish Distinguished Service Medal. The captain of the Kocatepe destroyer had become the head of the Turkish Navy on the following years.